The less I felt in myself, the more strongly I was drawn to those places where the whirligig of life spins most rapidly. So begins an extraordinary day in the life of Mrs C - recently bereaved and searching for excitement and meaning. Drawn to the bright lights of a casino, and the passion of a desperate stranger, she discovers a purpose once again but at what cost? 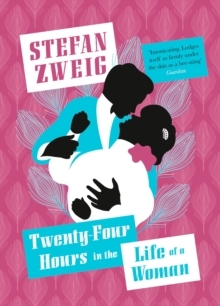 In this vivid and moving tale of a compassionate woman, and her defining experience, Zweig explores the power of intense love, overwhelming loneliness and regret that can last for a lifetime.